Scooby-Doo! and the Gourmet Ghost DVD release date was set for September 11, 2018 and available on Digital HD from Amazon Video and iTunes on August 28, 2018. Mystery Inc go to visit Fred's uncle at the Rocky Harbor Culinary Resort. Turns out, the uncle is Bobby Flay, a world-famous chef. At first, the trip is a treat, especially for Scooby and Shaggy. But things start to go awry very quickly. The Culinary Resort is haunted by supernatural phenomena. 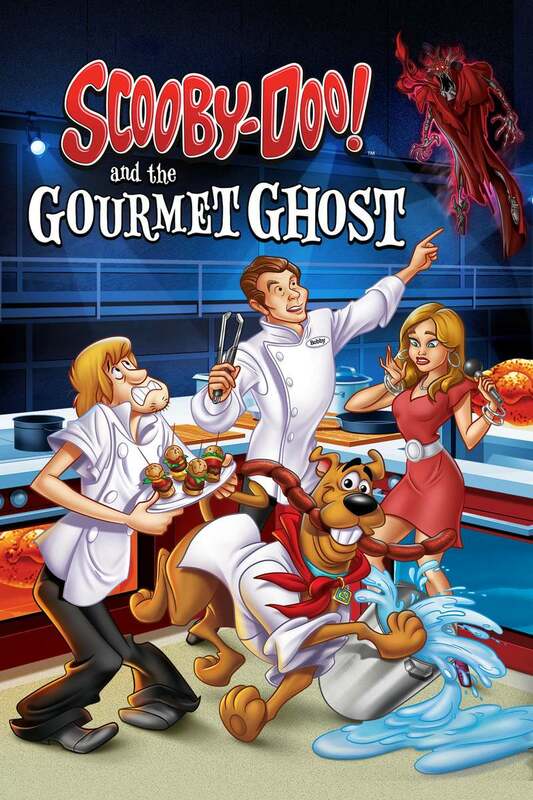 The chefs are in the middle of filming when they're attacked by a spooky new foe - the Red Ghost. The attack launches Mystery Inc into a brand new investigation as they try to decipher who is pulling the strings.